We have been keeping an eye on our mobile aps, WindAlert and PredictWind, which are both indicating that we could be in for quite a storm tomorrow morning. This, of course, coincides with very high tides of 12.8 feet at 7:00 am tomorrow morning. Check out the tides predicted for tomorrow and how it potentially pairs with the wind forecast. FRI S wind 20 to 30 kt. Wind waves 3 to 5 ft. A chance of rain in the morning then rain likely in the afternoon. FRI NIGHT S wind 15 to 25 kt easing to 5 to 15 kt after midnight. Wind waves 2 to 4 ft subsiding to 2 ft or less after midnight. If this forecast holds, we think there’s a strong potential that we could experience waves slosh over our bulkhead… especially if the wind direction leans to the southwest. 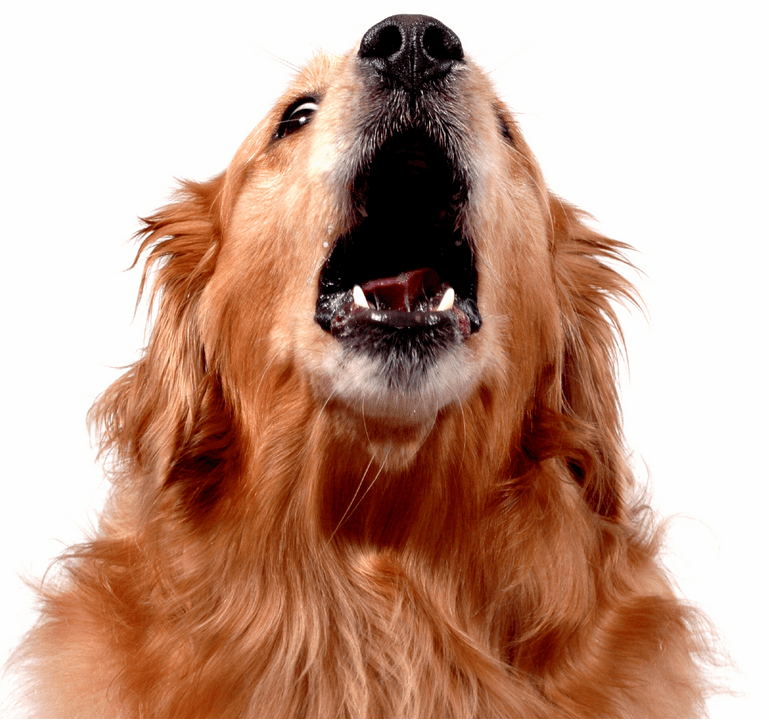 Last but not least, we’ve used a picture of a howling golden retriever for our “barking dog” reports warning of potential weather issues. We thought you might like to see our retriever in action. Hitch dedicates this song to his favorite gal, Indie. Wind Alert is showing some potentially gusty winds in store later tonight. Our next high tide is 11.56 feet at 4:55 p.m. …just when the winds are predicted to pick up. S wind 15 to 25 kt rising to 20 to 30 kt in the afternoon. Wind waves 3 to 5 ft. Rain likely in the morning then rain in the afternoon. S wind 20 to 30 kt. Wind waves 3 to 5 ft. Rain. The UW’s forecast has not been updated since 3:08 am. TODAY…Breezy. Rain likely in the morning, then rain in the afternoon. Rainfall amounts a quarter to a half inch possible. Highs in the mid to upper 40s. South wind 15 to 25 mph with gusts to 35 mph. TONIGHT…Windy, rain. Rainfall amounts a quarter to a half inch possible. Lows in the lower to mid 40s. South wind 15 to 30 mph with gusts to 40 mph. It looks like this may just miss us as far as any measurable flooding… however, it could be a spectacular night with plenty of splash. Stay tuned! A gale warning has been issued effective 10:00 pm tonight through 10:00 tomorrow morning. There is a possibility of flooding for those who live on the water off Beach Drive…especially if winds from the South are your nemesis. Based on the models that we rely on for wind predictions, we think we could be in for some real weather tomorrow morning starting around 7:00 am. It looks like we will have high sustained winds with strong gusts at high tide between 7:45 and 8:30 tomorrow morning with the high tide predicted to be 12.3. SUN S wind 25 to 35 kt easing to 15 to 25 kt in the afternoon. Wind waves 4 to 6 ft subsiding to 2 to 4 ft in the afternoon. Rain in the morning then showers in the afternoon. Of course forecast often change… we like to error on the side of caution when it comes to our weather. Weather guru Cliff Mass says the first big fall storm should start right about the time that summer is officially over, at 1:44 pm Sunday which coincides with the kick off for the Seahawks vs Jaguars at Qwest field.